A fresh appeal has been made over the disappearance of Dublin schoolboy Philip Cairns 21 years ago. More than 50 people have come forward individually in recent months to provide new lines of inquiry for the investigation team. Crimestoppers is offering a €10,000 reward for information about Philip's disappearance. 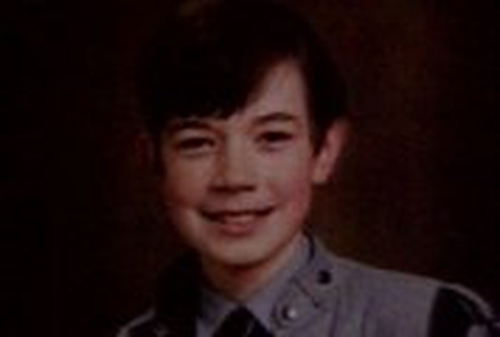 He was last seen in October 1986 walking home from school in Rathfarnham in south Dublin. Philip's schoolbag was found in a laneway near his home one week after his disappearance. It is believed that the bag had only been in the laneway a short time before it was discovered. His pencils, pens, and pencil case were still in the bag but two books were missing from his bag when it was found. At the time Philip disappeared he was in had been in secondary school for just two months. A full reconstruction of Philip's normal journey back to school was shown as part of a major appeal on the Crimecall programme. Meanwhile, anyone with information relating to Philip's disappearance is asked to contact Crimestoppers at 1800 25 00 25.